White potatoes are a great all-purpose potato and will be great boiled, baked, fried, or roasted. 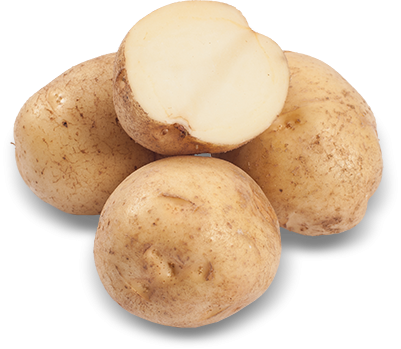 Generally smaller than a russet potato, white potatoes have a smooth, tan skin and white flesh and are very low in starch. Put them in soups or salads and they will hold their shape.